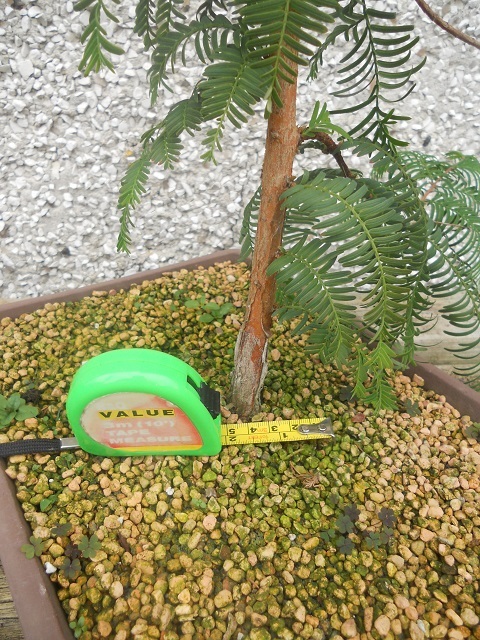 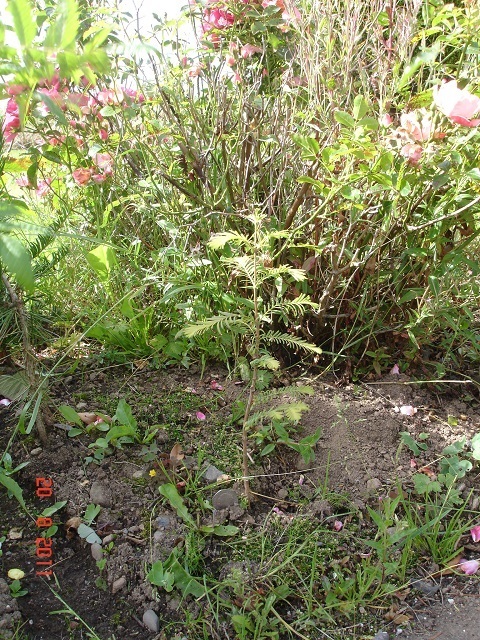 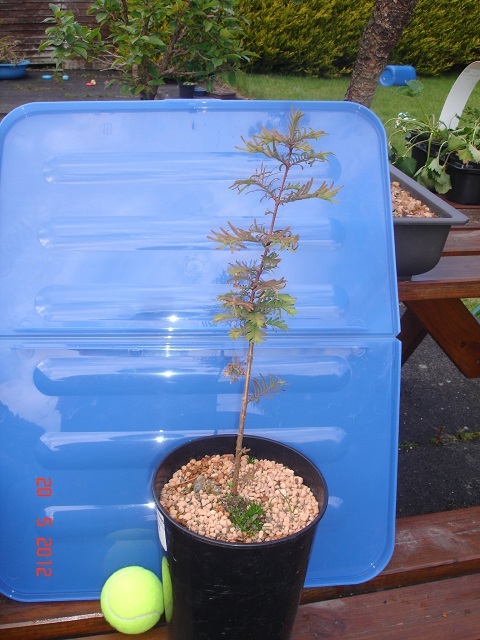 Four years ago I took a hardwood cutting from Dawn Redwood pre bonsai in the hope of obtaining better material for training as bonsai. 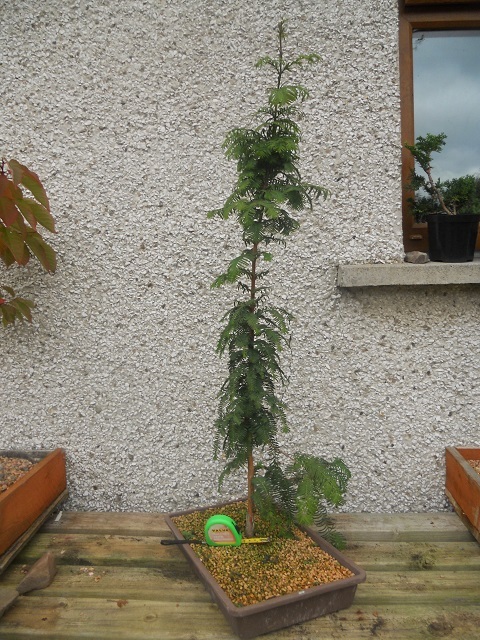 The cutting took root in the ground and after one year I planted in a pot then after another year into a shallow seed tray with a free draining mix. 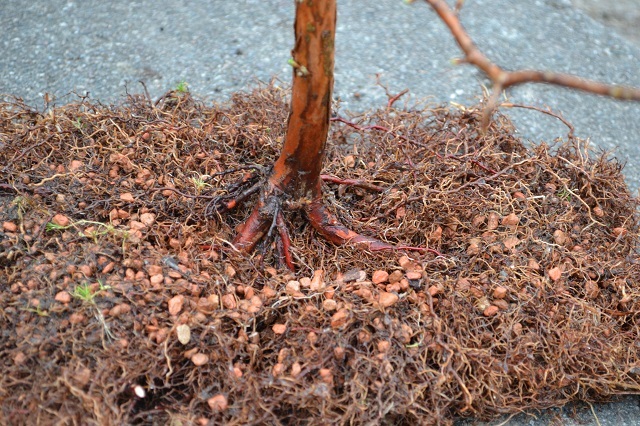 Two years on and not many branches have formed but the roots have been busy, in fact the root mass had been pushed up so that it was exposed. 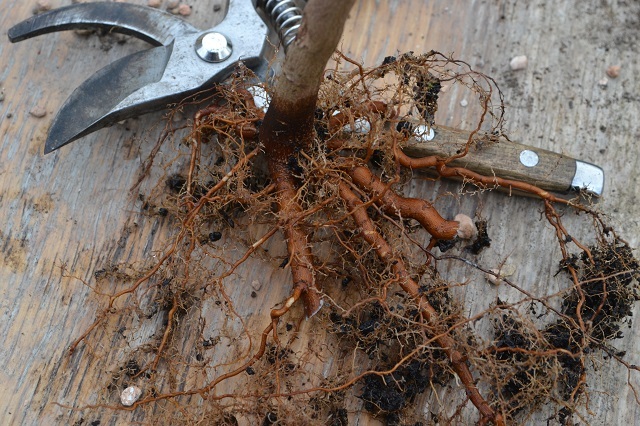 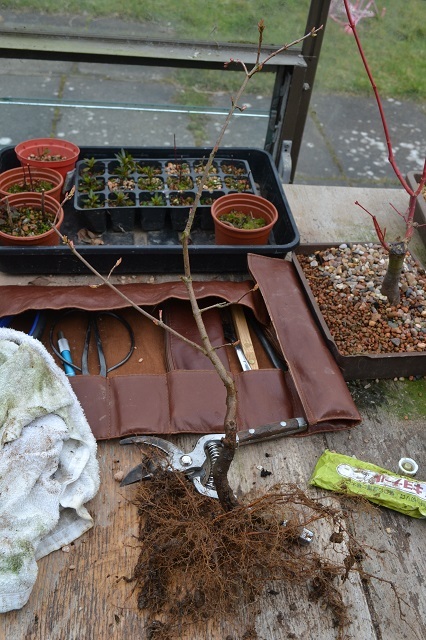 Some extra care over the winter and the buds have been swelling – time for a root check. 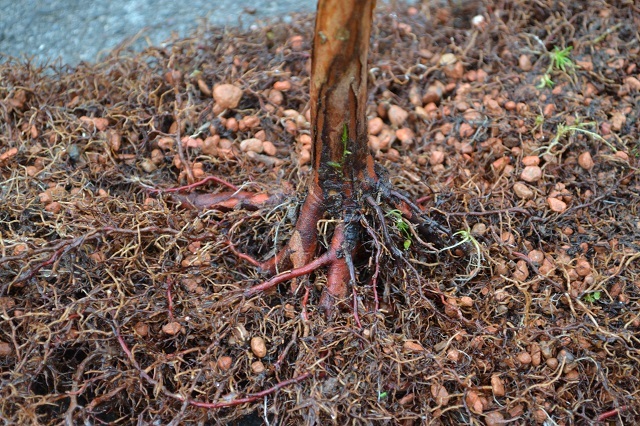 I removed a lot of the thicker roots that you can see encircling the root mass. 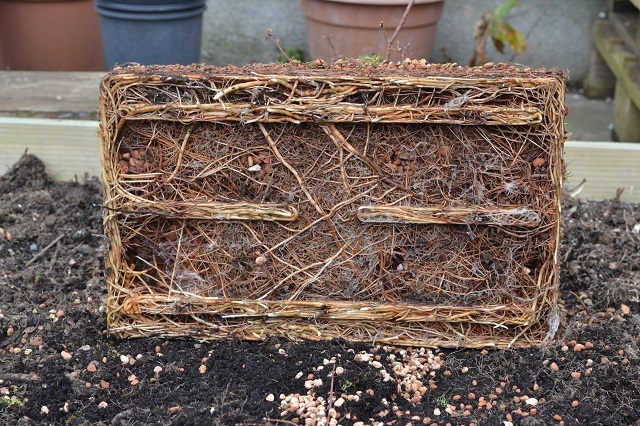 It was already pretty shallow because of the seed tray so I didn’t need to remove much from the bottom or surface. 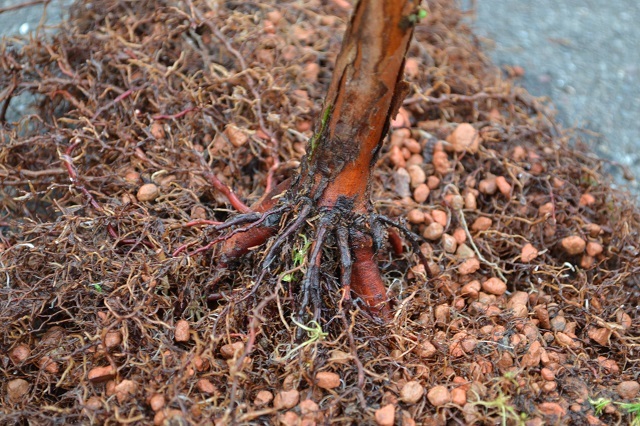 Plenty of fine root was left and I discovered fantastic nebari, consisting of four main, thick roots and lots of other smaller ones between. 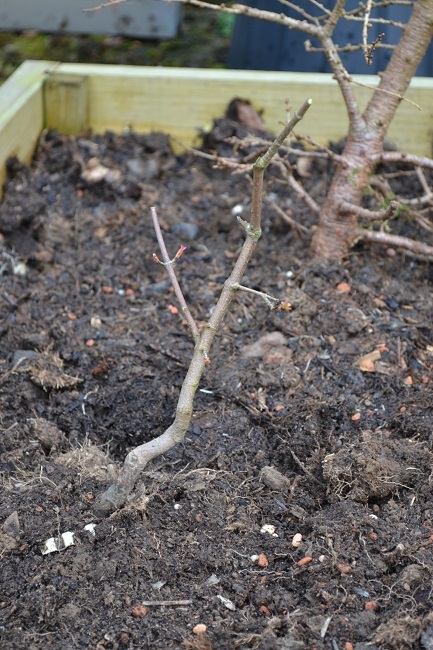 I could take any of the above photos as a front for the future tree but I think it’ll depend on the branching which is yet to develop. 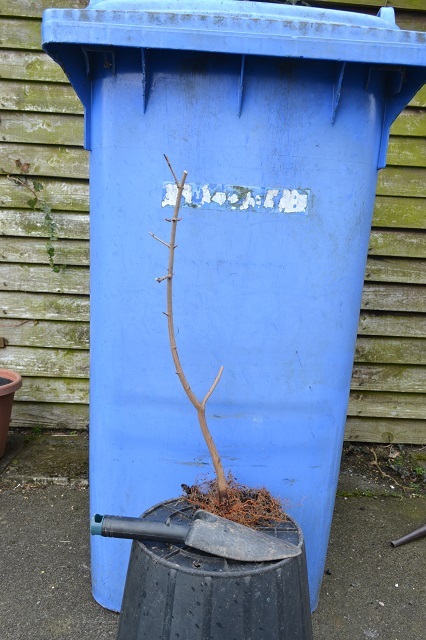 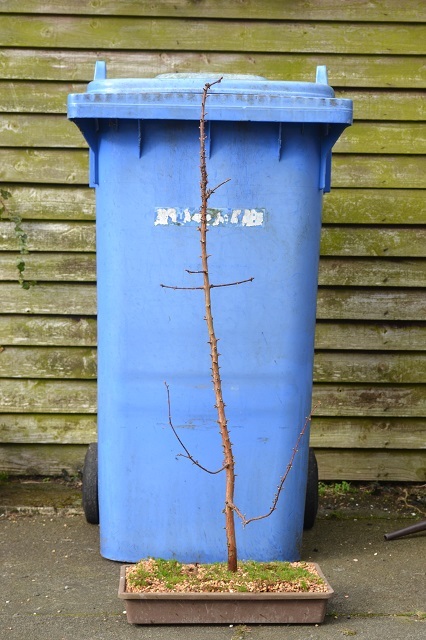 I trimmed the height of the tree and hopefully this will promote branching as up to now I have just let the leader grow without pruning as I’m aiming for a formal upright image as it would be found in the wild. 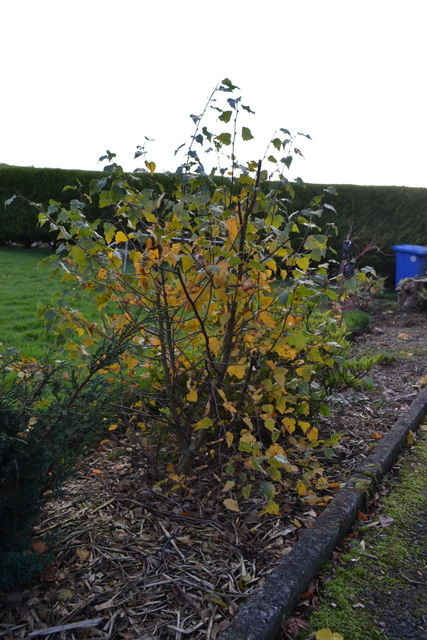 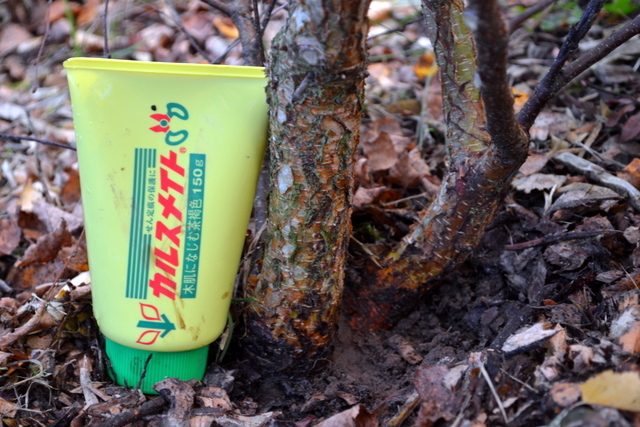 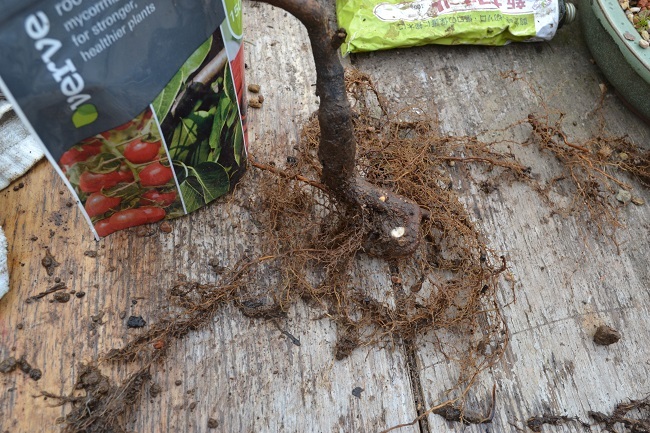 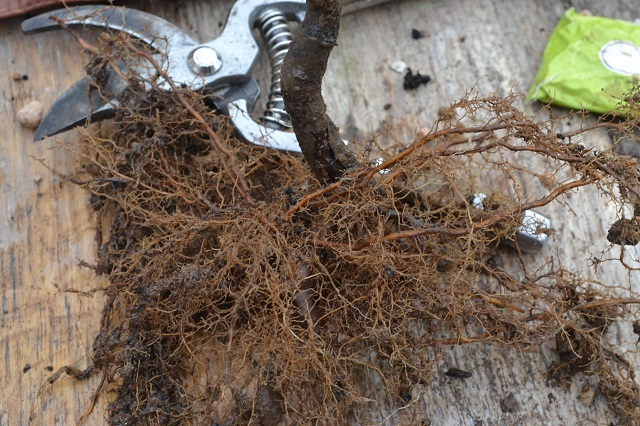 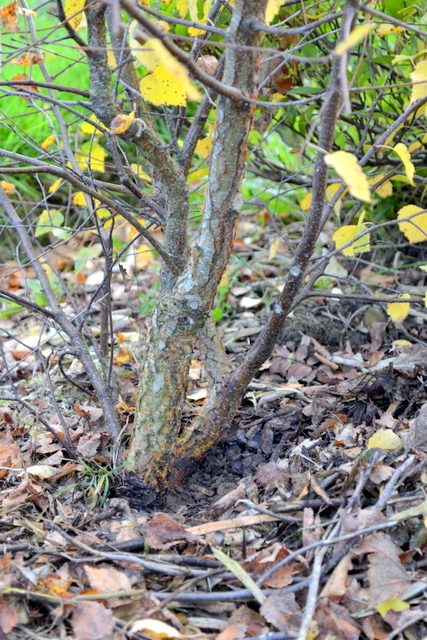 The unsuitable surface roots were trimmed off, thicker roots were shortened considerably and the tree placed in a growing bed to help thicken the trunk and grow branches. 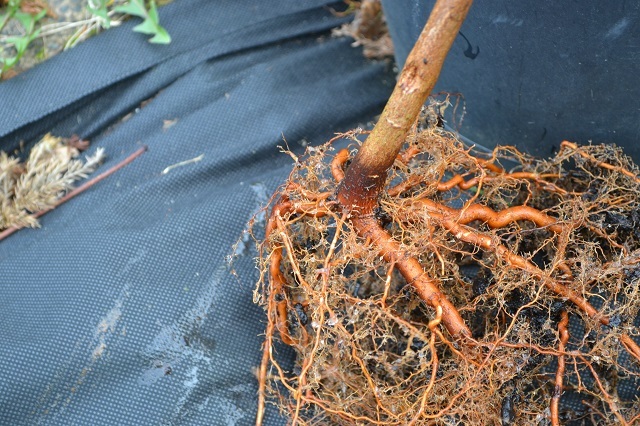 Because it grew so strongly over the last two years I may inspect the root ball each year from now on as I don’t want extra roots growing over or spoiling the covered nebari. 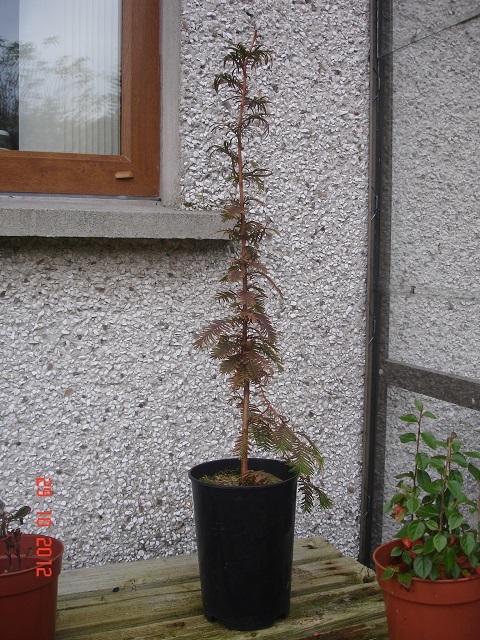 If anyone has any tips regarding Dawn Redwoods, I’d love to hear them!